All the destinations below can be visited during a day trip from Darragh Cottages. Blarney Woolen Mills are described as “The great Irish Shopping experience”. 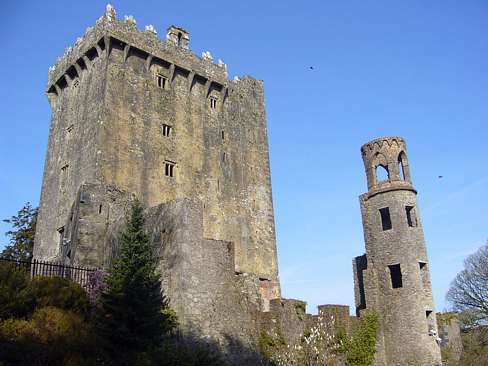 Climb the castle battlements to kiss “the stone of eloquence”. Closer to Cork City is the impressive Cork Gaol(Jail) with multimedia and exhibitions. See Shandon’s Steeple bells and the Cork Vision center. Within the grounds of Bunratty Castle is Bunratty Folk Park where 19th century life is vividly recreated. Set on 26 acres, the impressive park features over 30 buildings in a “living” village and rural setting. Meet and chat with the Bean an Ti (Woman of the House) and various street characters including the Policeman and Schoolteacher who give the site its sparkle during the summer months. Killarney and its famous lakes are a premier tourist center. Cruise the lakes on “water coaches”. Visit Muckross House and its traditional visitor farms with guides. Explore the spectacular Ring of Kerry (Iveragh Peninsular) and the Beara Peninsular. 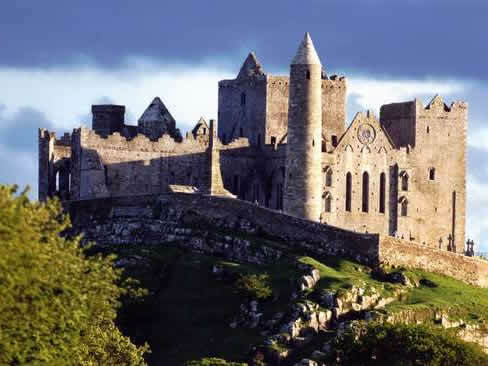 The Rock of Cashel is a large and dramatic medieval site containing a round tower, churches and an Abbey. The town has both a Heritage Centre and a Folk Village. Nearby is the famous town of Tipperary with its new Heritage Centre. Just South of Cashel is the town of Cahir with its 13th century castle (with audio and video presentations). Mitchelstown cave is just south of Cahir and has three very large caves with drip stone formations. A much-visited seascape, with a international world heritage centre. 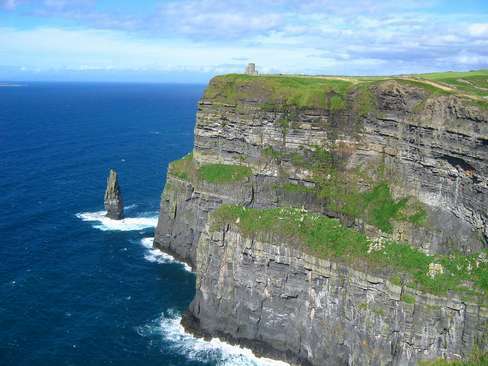 The cliffs are 230 meters (700 feet) above the sea; you can see the Aran Islands and Galway Bay from the cliffs. Just north is the famous Burren National Park, a rare and extensive lime stone region of special flowers and wild life, an ideal and very popular visitor attraction. Ennis is the new home of the “Irish Music Center” called GLOR. 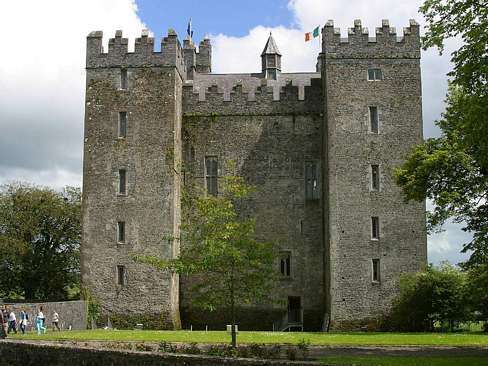 World famous Bunratty Castle and Folk Park is an ideal stop off for a couple of hours. Waterford City is the home of Waterford Crystal. The City has a 9th Century Viking Heritage. Lismore, situated on the river Blackwater, has an excellent audio-visual Heritage Centre. Lismore Castle is spectacular and was once owned by Sir Walter Raleigh. The castle gardens are open to visitors. 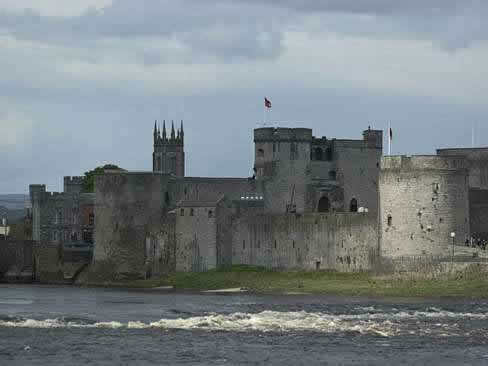 Kilkenny City has a medieval castle, a fine Tudor merchants house, St Canice’s Cathedral and international design centre for jewellery ,fabrics and glass (opposite the castle). 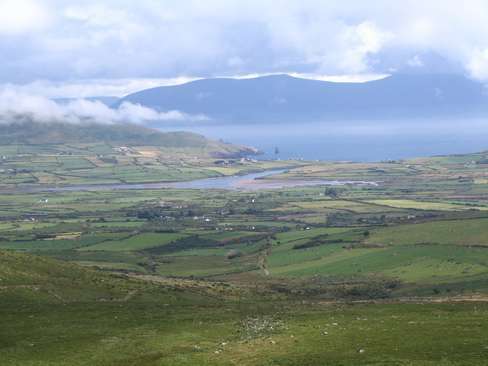 The Dingle Peninsula is renowned for its rugged beauty and has many design studios and craft workshops. You can take a boat trip to see dolphins and sea birds. You can enjoy many world-renowned restaurants. 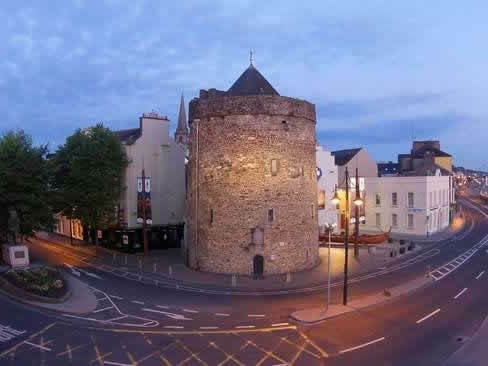 Tralee is the capital town of County Kerry and has all the facilities of a successful town. 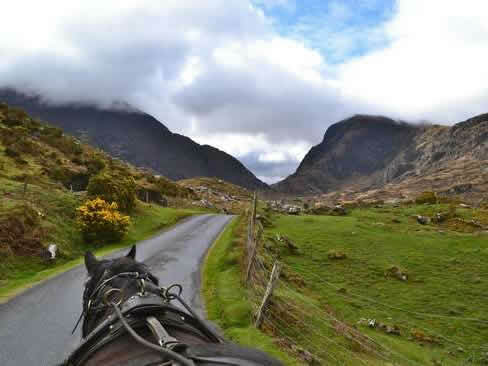 An Audiovisual presentation (The Geraldine Experience) vividly shows ancient times in Kerry. A historic steam train travels to Blenerville where there is a wind mill (Sail). The Aquadrome Waterworld is popular as an activity center. The National Folk Theatre (Siamsa Tire) is also in Tralee, not to mention the world-famous tralee races. Theres’s a major tourism center in the old part of town, with King John’s Castle, the City Museum and the Hunt Museum all close bye. Walking Tours reveal the origins of “Angela’s Ashes” and are provided daily. On the way into Limerick you will pass the Stone Age center at Lough Gur. Guided tours are available.